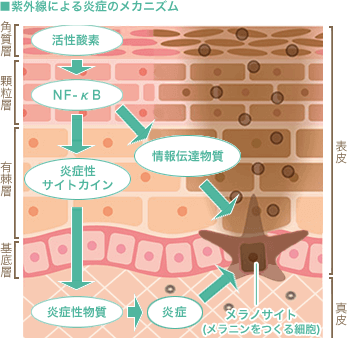 Cosmetic Ingredient Review（2008）「Safety Assessment of Simmondsia Chinensis (Jojoba) Seed Oil, Simmondsia Chinensis (Jojoba) Seed Wax,Hydrogenated Jojoba Oil, Hydrolyzed Jojoba Esters,Isomerized Jojoba Oil, Jojoba Esters, Simmondsia Chinensis (Jojoba) Butter, Jojoba Alcohol, and Synthetic Jojoba Oil」Final Report. A Kampf, et al（1986）「Oxidative stability of jojoba wax」Journal of the American Oil Chemists’ Society(63)(2),246–248. A Kampf, et al（2005）「Anti-inflammatory effects of jojoba liquid wax in experimental models.」Pharmacological Research(51)(2),95-105. 高橋 元彦, 他（2008）「ニキビ患者および健常人における白血球分画, 酸化指標, ストレス度に関する研究」日本化粧品技術者会誌(42)(1),22-29.